Karolina Czerska-Shaw, Jagiellonian University, Krakow. 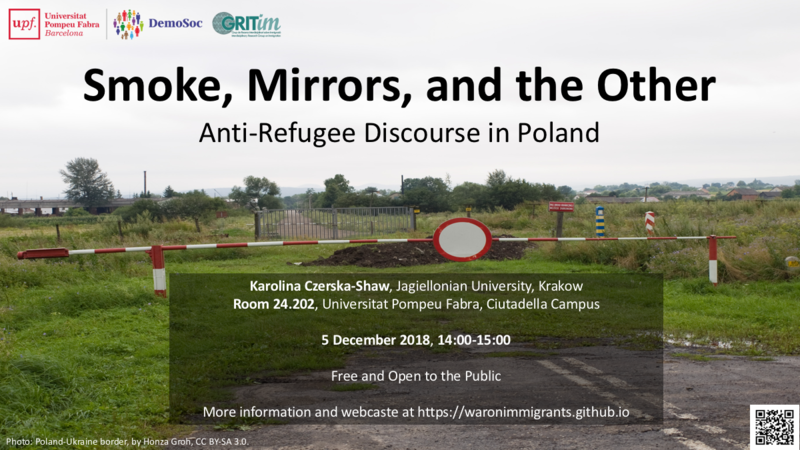 Karolina Czerska-Shaw presented her work on anti-refugee discourse in Poland. 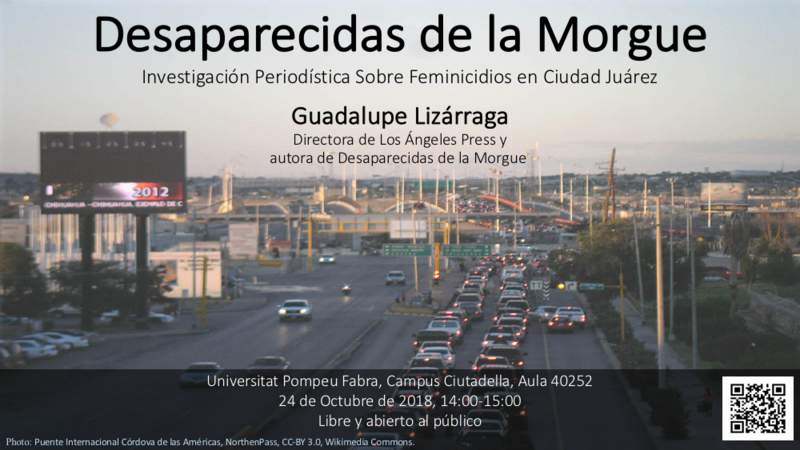 In this talk, Guadalupe Lizárraga presented her investigative reporting on femicide in Ciudad Juárez, placing it in the context of Mexican migration. This talk provided updates on the impact of increasingly repressive anti-immigrant policies on Latino communities across the United States. 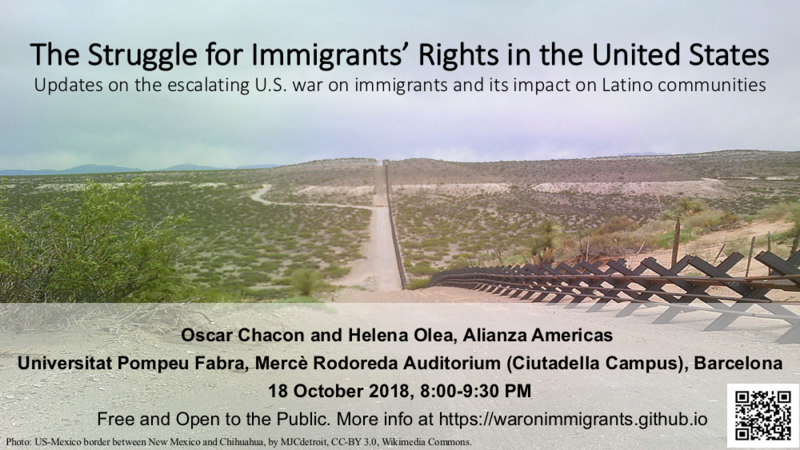 Oscar Chacon and Helena Olea appeared by video to discuss their work on immigrants’ rights with Alianza Americas, an organization focused on economic, racial, and social justice, humane migration policies, and the protection for children and families seeking refuge. 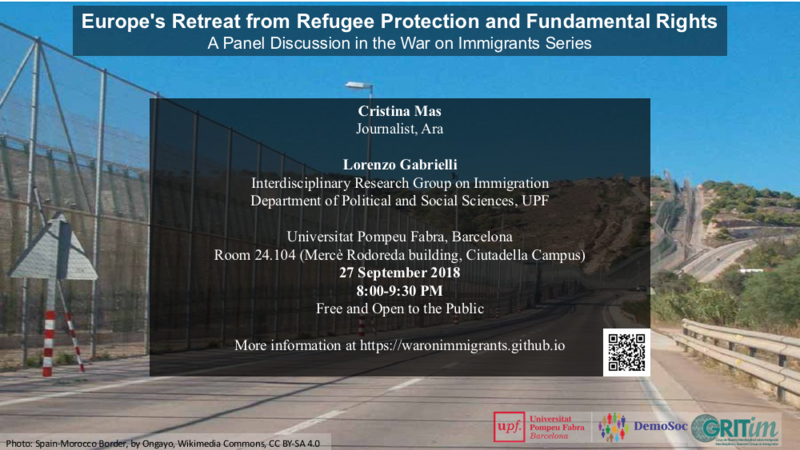 This talk covered the increasingly repressive immigration policies of the European Union and its member states. From militarized responses to migrants at sea to the criminalization of rescue operations, third country return agreements, and border externalization, Europe has taken a sharp turn away from any commitment to refugee protection and fundamental rights. This talk provided updates on legal and political developments in the United States, including the situation of thousands of children forcibly separated from their parents by the government, the Supreme Court’s decision on Trump’s Muslim ban, the use of mass detention, criminal prosecution, and interior raids as tools for border control, and increasing threats against naturalized citizens. This talk was offered in light of the dramatic escalation of anti-immigrant policies under the Trump administration, including the separation of children from their parents as a tool for deterrence, mass criminal prosecutions for immigration violations, the terrorization of minority communities by immigration police and unchecked extremist groups, the retreat from refugee protection, the attack on the Deferred Action for Childhood Arrivals policy, and continued attempts to impose the “Muslim ban” that Trump promised on his campaign trail. The talk explores how the United States reached this point, including decades of self-reinforcing anti-immigrant policies and ballooning enforcement budgets under both Democratic and Republican administrations. It provides an overview of the Trump administration’s immigration policies, highlighting the ways in which they differ from what has been seen previously, their impact on people’s lives, and ongoing efforts to challenge and resist them.